In August, we went to Guarene, in the Roero wine district, to meet with our winemaker friend Giuseppino Anfossi who, after intrucing us to his amazing Arneis DOCG, drove us to Osteria La Madernassa where we met the Herbalist chef, Michelangelo Mammoliti and had a peek through his very creative mind. 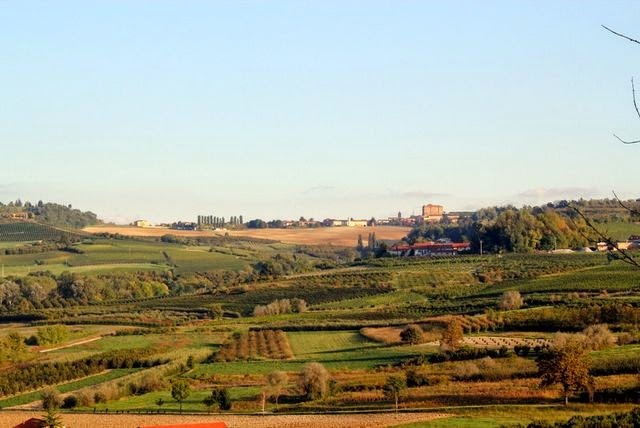 Just like Langhe and Monferrao, the other newly listed UNESCO wine districts in Piedmont, Roero is famous for its wines, hazelnut groves, white truffles, fresh pasta and cheese shops, but also for its orchards and fruits. In fact, this is the area of the Madernassa pear! Yes, just like the name of the high-end restaurant where Michelangelo designs new dishes based of the locally grown herbs and flowers. So, what is this Madernassa pear? And why is everybody so proud about it?? Apparently, this variety of pears is a natural graft born from a seed of the French Martin Sec pear randomly carried by the wind, at the end of 1700. The name Madernassa comes from the Madernassa hamlet located on a hill between Guarene and Vezza d'Alba. 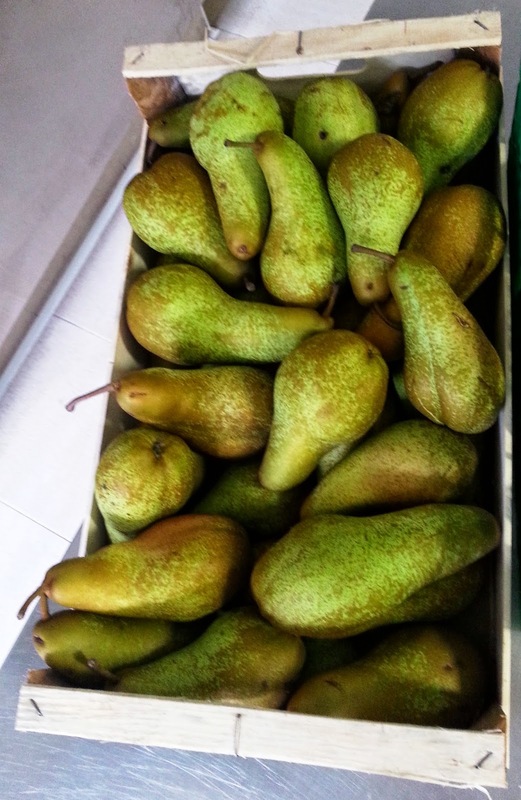 Similarly to the Martin Sec, the peel of the Madernassa pear is yellowish-green, brown and with reddish nuances. Its pulp is crunchy and sweet. 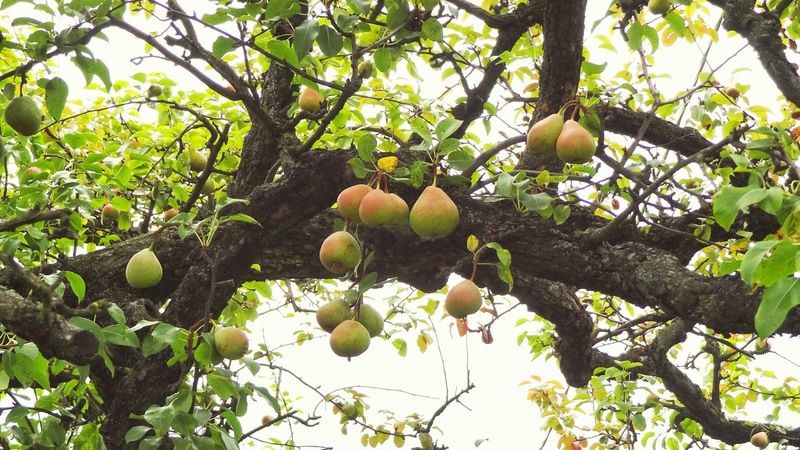 The mother plant dated back to 1784 circa, but it got cut down in 1914, however around 1920s, Madernassa pears hit popularity! Today, the largest production area is in Val Grana, where Castelmagno cheese is also from because the plant loves sandy and muddy soils. Thanks to its low sugar content, this pear is ideal for diabetics and because it's the fruit with the lowest calory content is also very good for all the people on diet. Being very low and sodium but very high in potassium it's very good also for athletes and young people; its high fiber content and easy digestibility makes it perfect for all the people with metabolism disorders. Interestingly, 80% of the total Madernassa pear production is certified organic and a lot are used to make industrial fruit salads, juices and sauces (always organic certified), a favorite of the German market! This is a particularly wild and rustic fruit, slightly flattened at the bottom and its pulp is very aromatic, compact, crunchy, intense and white. October is the harvest season of the Madernassa pear which can be cooked and used in many specialties. 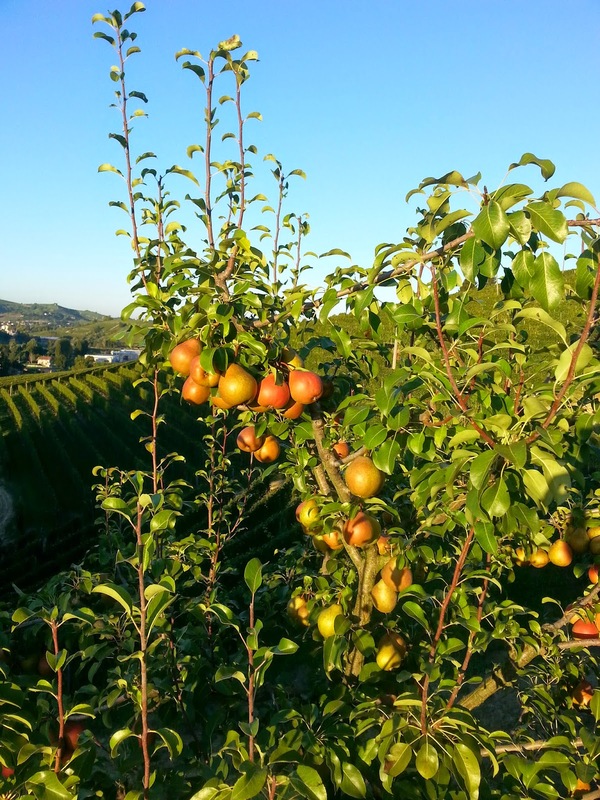 The Roero communities have started the application for the IGP (Indicazione Geografica Protetta) certification to guarantee that only this very kind of pear, produced in Roero can carry the Madernassa name. 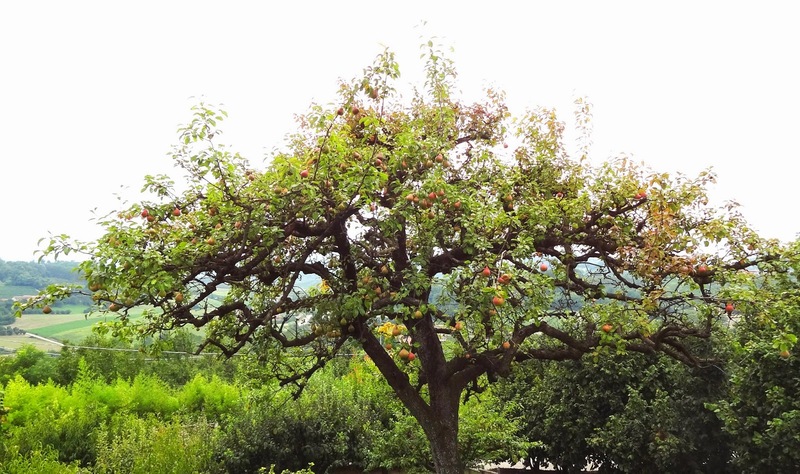 Moreover, in the effort to promote it as a unique fruit, the Guarene municipality registered it as "Madernassa Pear of Guarene and Roero". 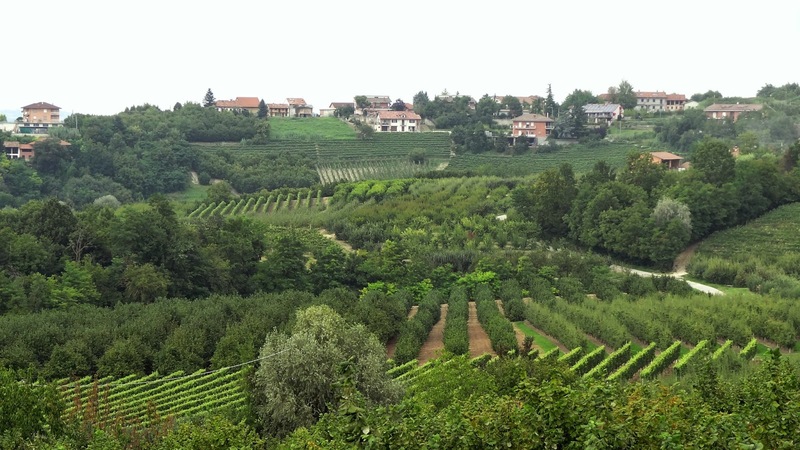 So, mark the Roero wine district down for its wines, white truffles, hazelnut groves, peaches and Madernassa pears.